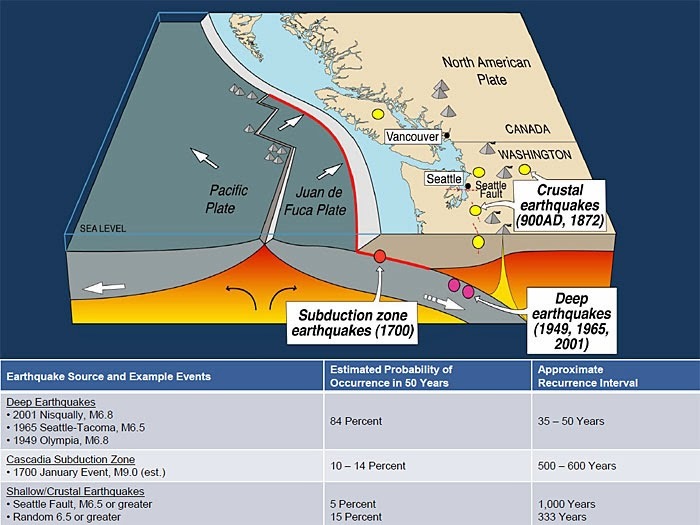 In yesterday's operational risk seminar that I teach at the University of Washington, our guest speaker was UW seismologist and information scientist Bill Steele. In the first hour of class, he used a presentation he had recently made to state government on the development of an alert system that could mitigate certain types of public safety issues during an earthquake. I've seen parts of the presentation before, and was struck again by the message that is driven home: disaster preparedness reduces costs over the long run. And it may also reduce business interruption costs by as much as 20%. 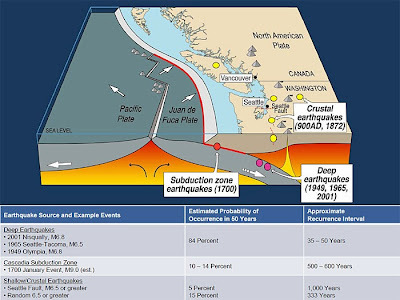 Despite these facts, we are a long way from having an effective earthquake alert system in this state that could provide up to 3 minutes of warning before we felt the shock; and that could also be used to stop trains and elevators, and alert schools so that children could drop, cover and hold. In our seminar the previous week, I had talked about neuroscientist Tali Sharot's book, The Optimism Bias: A Tour of the Irrationally Positive Brain. For those of you who might be curious, I've included a link to her TED talk. How does this optimism bias play into disaster preparedness at the personal level? You have only to listen to some of your under-prepared friends and neighbors -- "It will never happen in my lifetime" and/or "I know it's going to happen but I have plenty of time to put my emergency kit and plan together." Sharot calls this underestimating negative events. So to nudge you along -- including those who live outside earthquake zones but in areas where floods, hurricanes, extreme weather or tornadoes happen -- here's a link to the pull-out center section of last Sunday's Seattle Times magazine, titled "Ready to Rumble." You can use it as a guide to preparations on your home and for your family against most types of events. I might have written this article by Deborah Abrams myself. 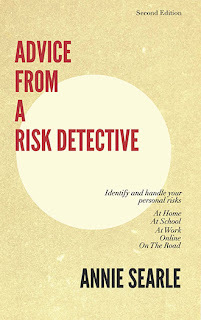 It bears a great similarity to the advice and points I provide in the first chapter of Advice From A Risk Detective, including my recommendation to use wooden dowels to secure windows that don't lock well. 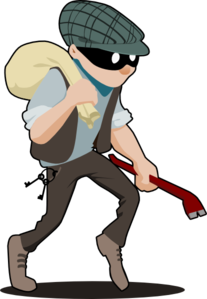 As fall turns into winter, and it becomes darker earlier in the day, it's worth it to review what easy and inexpensive steps you might take to secure your home. As you're doing fall cleanup, do make sure that shrubs are not covering windows. The only shrub we have near a first floor window is a prickly holly bush, which is an effective deterrent on the curb side of the house.